The island of Hispaniola features more than 300 bird species which is why the Dominican Republic is a hotspot for birding in the Caribbean. Around 30 of these species are endemic on Hispaniola such as the Hispaniolan Woodpecker and the Palmchat, so you can only find them here. Another unique feature of bird watching in the Dominican Republic is that you can combine your birding vacations with visiting the most beautiful places the Caribbean has to offer – such as the gorgeous beaches of Bahía de las Águilas, Playa Rincón or Playa Bávaro in Punta Cana, the amazing waterfalls of the Cordillera Central, the stunning nature of the Dominican Republic’s north coast or the colonial heritage of Santo Domingo’s old town. Birding in the Dominican Republic is possible in many different regions in the country – the following blogpost shows you which places you should not miss for your Caribbean bird watching holidays. As Santo Domingo might be your arrival and departure airport for the Dominican Republic anyway, you should definitely stop for 1 or 2 nights at this melting pot of different cultures with a cross-section of the whole Dominican society. In the morning, you can head to the Botanical Garden where you can observe the two species mentioned in the introduction or other endemic birds such as the Black-whiskered Vireo or the Antillean Palm Swift. After the Botanical Garden you should take some hours in the afternoon exploring the ancient streets of the Zona Colonial with its multi-coloured buildings and unique colonial atmosphere. The capital will be a great starting point for your birding vacation in the Dominican Republic. Our recommendation: We can organize a City Tour for you, consisting of a private tour to the Botanic Garden and an afternoon walking tour through the Colonial Zone of Santo Domingo, UNESCO world heritage. Los Haitises National Park is a popular destination for nature lovers and bird watchers alike. While most people head out by boat to explore the park and its caves, islands and wildlife (incl. fregate birds and pelicans + the humpback whales which are migrating here each year from January to March), there is also the option to participate at specialized bird watching tours. While the sole accommodation in the park is already worth visiting thanks to its rustic charm and the stunning location embedded in tropical nature and gorgeous waterfalls, our “Eco-lodge in a beautiful surrounding in the national park” is also the perfect starting point to see the endangered and endemic Ridgway’s Hawk. Our recommendation: If you’d like to go birding at Parque National Los Haitises, have a look at our 4-day package “whale- and birdwatching in the Dominican Republic” which also includes a birdwatching tour to observe the Ridgway’s Hawk. If you are on a tour around the country and you would like to throw in some easy accessible birding in the Dominican Republic, a stay at our “Sustainable eco-lodge with spectacular views” is highly recommended. It is located north of Puerto Plata and Sosua and fits in well into any itinerary that includes the North Coast. While the accommodation itself is outstanding thanks to its unique design with open, airy and light-flooded casitas and unparalleled ocean views, the surrounding areas offer fantastic bird watching opportunities. 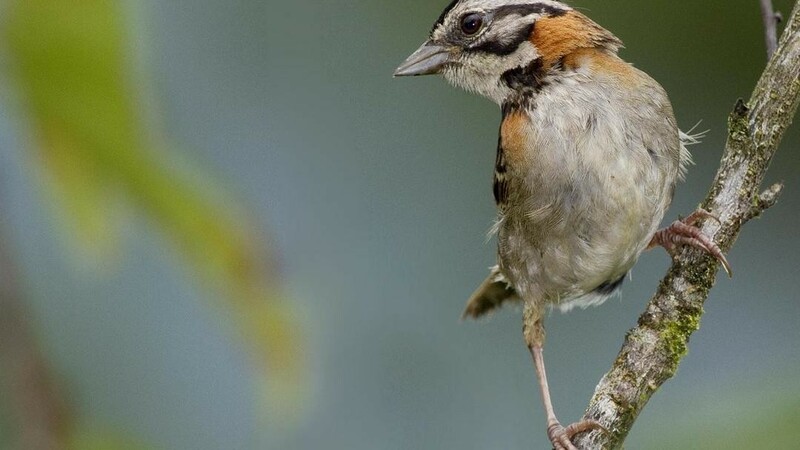 There are good chances that you can spot Hispaniolan Orioles, Vervain Hummingbirds, Black-crowned Palm-tanagers, Broad-billed Todys, Palmchats, Hispaniolan Woodpeckers, Red-legged Thrushs and Greater Antillean grackles. Our recommendation: We can not only organize your accommodation at our “Sustainable eco-lodge with spectacular views” but also the hikes with local guides who can explain everything about the local flora and fauna, including the several birds living in the area. No birdwatching holiday in the Dominican Republic would be perfect without a visit to the southwestern part of the country. The Bahoruco mountain range divides this peninsula into two parts, where the southern part is the more accessible one. It can be perfectly combined with a visit of the pristine and absolutely untouched beach of Bahía de las Águilas and stunning drives along the panoramic route from Barahona to Pedernales. This road also serves as your gateway to access the birding spots in the Southwest of the Dominican Republic, such as the Hoyo de Pelempito, the Laguna Oviedo and the Cachote cloud forest. Species observable here include the Hispaniolan Crossbills, Antillean Siskins, Golden Swallows, Dominican Pine Warblers, Palm Crows and Easter Chat Tanagers. The Laguna Oviedo is also famous for its Flamingos and Roseate Spoonbills and is easily accessible by boat. Our recommendation: It is best to base yourself in the area of Barahona, where we can offer you plenty of hotels depending on your budget. For further itinerary information, please have a look at our 4-day “Unknown Southwest” package (we can easily add bird watching here), where you can get a first glimpse of the beauty of this area. This area is the most interesting part and your No. 1 with regard to birdwatching in the Dominican Republic. If you are planning birding as your main activity, your visit to the country is not complete without travelling to the area between Lago Enriquillo and the Bahoruco Mountain Range. The region is famous among birdwatchers, as it offers an eco-lodge especially for these kind of stays with screened cabins and birding trails starting directly from the property. Around the lodge and in higher elevation areas which are accessible by 4x4-tours, common species are La Selle Thrush, Western Chat Tanager, White-winged Warbler, Rufous Throated Solitaire, Hispaniolan Trogon and the White-fronted Quail Dove. Our recommendation: Accessibility for bird watching to this part of the country is not easy, but with our experienced drivers and guides we will make it possible to visit this remote part of the Dominican Republic. You want to go birding in the Dominican Republic and see the immense variety of this country? Ask us for your personalized birdwatching itinerary and get in touch with our professional travel experts.